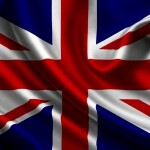 Home » Archive » 13th Episode Of Fawlty Towers? Basil and Numerology? Interview with Lars Holger Holm – Author of "Fawlty Towers – A Worshipper's Companion"
13th Episode Of Fawlty Towers? Basil and Numerology? Interview with Lars Holger Holm – Author of "Fawlty Towers – A Worshipper's Companion"
When I was reading the book, questions kept popping into my head, Questions primarily about Holm’s inspiration for investing the time to research and write such an insightful and thought-provoking book — with chapters on the Fawtly Towers’ connection to the occult, historical references and analysis of all of Basil’s neuroses — about a British sitcom with only 12 episodes that first aired some 30 years ago only on BBC 2? language of music, he began playing the violin at the age of seven. popular host of classical music on Stockholm’s Classic FM. Now, aren’t you curious, too? Well then, read on. I think you will find his answers equally enlightening and entertaining. make contact with a modern world of which I was still largely ignorant. decorum, paradoxically was another moss-overgrown relic from the past. with its description of “the horrors of being married”? though he’s such an awful, despicable character. Why is that? Q: How did you develop the condensed biographies of Fawlty Towers’ inhabitants? Q: What inspired you to research and investigate the occult of Fawlty Towers? make fun of dogma and, quite especially, all monotonotheism. scientists such as Copernicus and Newton. episode, symbol of Master J.C. himself. Seek, and thou shalt find! 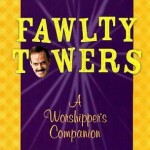 Q: How long did it take you to research and write Fawlty Towers – The Worshipper’s Companion? other researchers in the field. year and released in March 2004.
it was never broadcast, even in later years as a TV special? authenticity of the script, reproduced in the book. this tormented universe to a happy end. airing it, I must refer the reader to the BBC. They should know why. recorded on his answering machine, exclaiming: P-off! Q: Given all of the time and research you have dedicated to Fawlty Towers, and writing Fawlty Towers – The Worshipper’s Companion,what one element do you think was key to its enduring appeal and popularity throughout the past 30 years? Q: How would Nietzsche describe/summarize Fawlty Towers? – But Mr. Nietzsche, maybe you are mistaking the half-wit Spanish waiter Manuel for Basil Fawlty? – What? I need my glasses to hear what you are saying. That, that is Basel, nicht wahr? – No, no, that is Manuel, he is supposed to be funny. – Aha, and who is zis crazy woman then, his sister? – No, that’s Sybil, Basil’s wife. no longer listen to zis crap of Faulty Powers. Should Central banks require commercial banks to report to them on a monthly basis on non-performing loans?